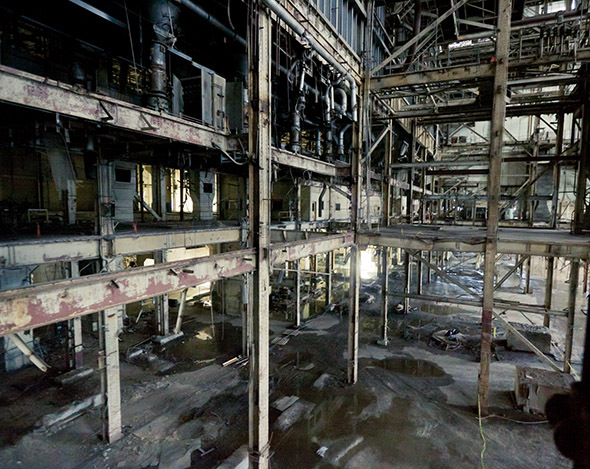 Abandoned since 1995, the Richard L. Hearn Generating Station has slowly deteriorated into the stuff of a Hollywood set-designer's dreams. 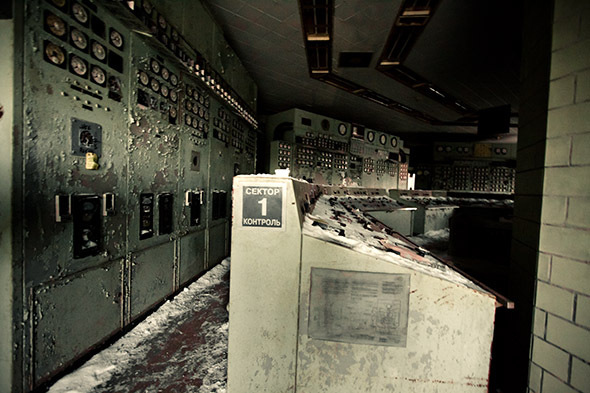 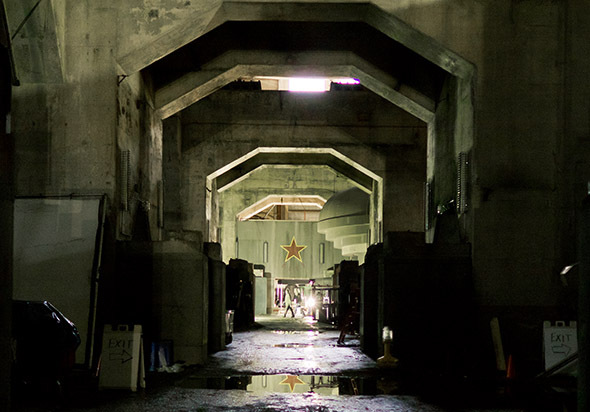 Its rusty corridors and abandoned control rooms just scream zombie-movie, so it's not much of a surprise that the latest offering in the Resident Evil franchise is currently in production at the old power station. 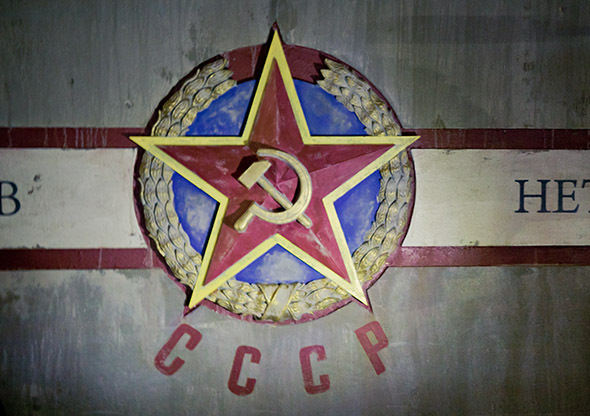 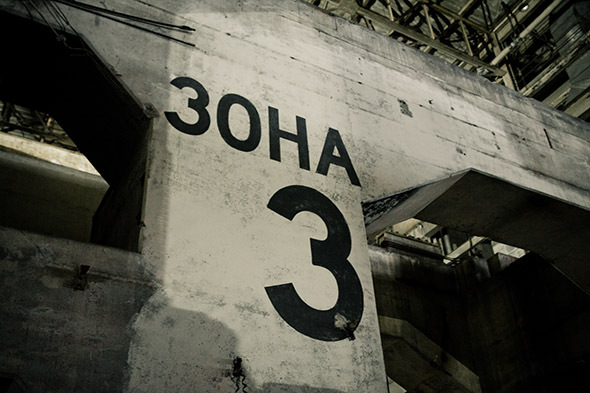 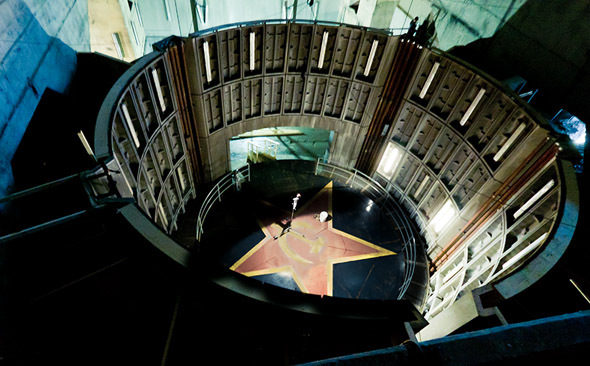 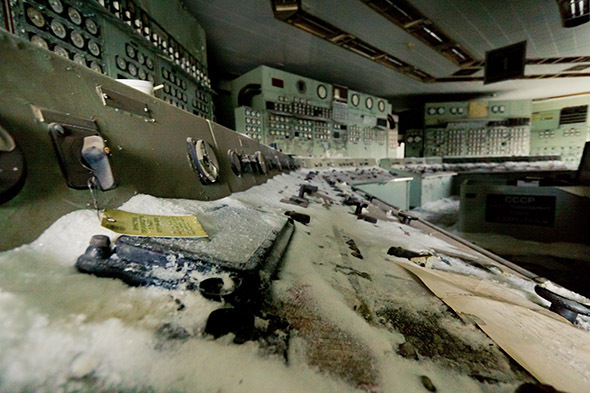 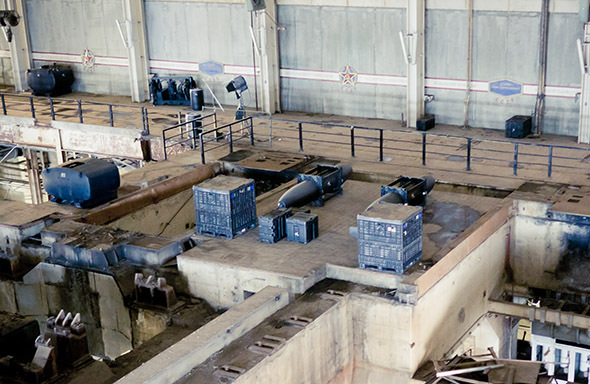 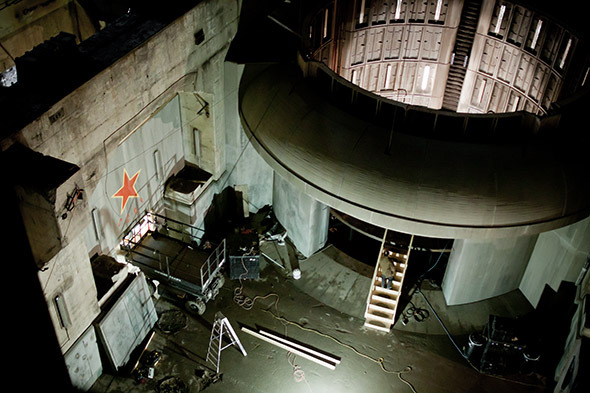 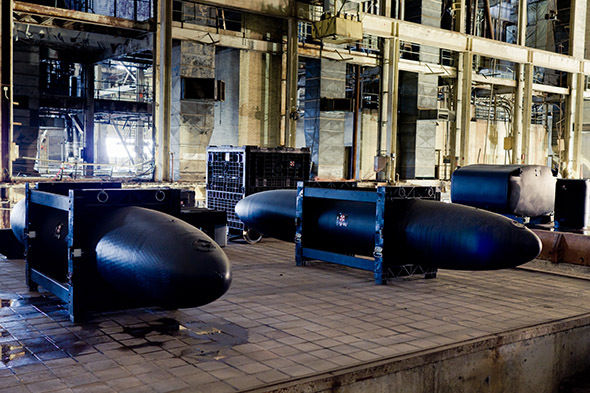 Outfitted with Cold War-era Soviet iconography, missile silos, and bombs, the set is probably the most promising thing about the movie in question. 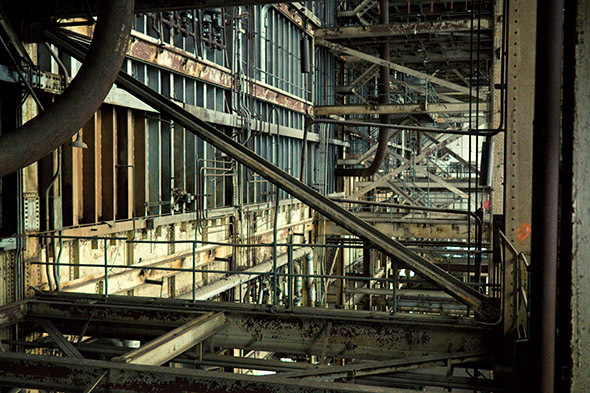 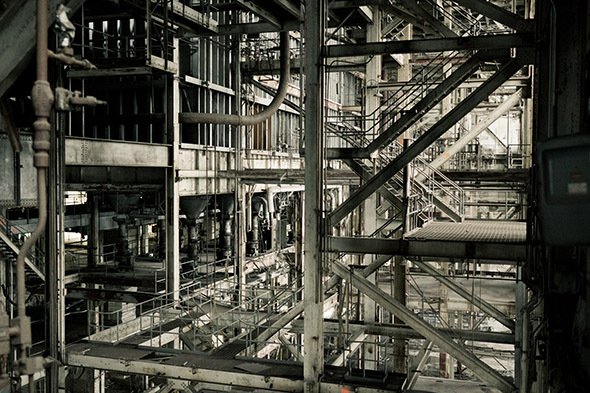 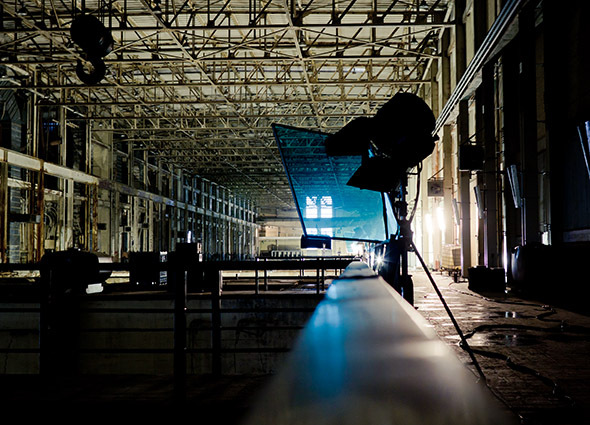 I suspect that it's at least somewhat dangerous shooting such a large production at the Hearn, but the filmmakers sure have the whole spooky atmosphere thing down pat.